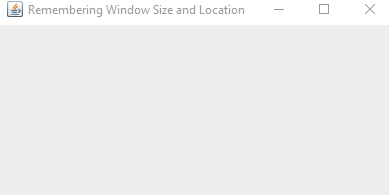 In following example we will use a utility to remember JFrame last location and size. We will also use our coalesce event util on JFrame 'resized' and 'moved' events for efficiency. On changing size and location the preferences is updated. On restarting, last size and location are restored.